I am interested in the interplay of evolvability and robustness: how organisms can simultaneously generate phenotypic novelty, yet be buffered against the forces of genetic and environmental change. 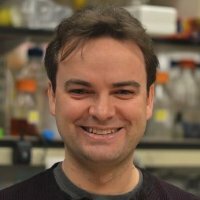 I work in the emerging discipline of evolutionary systems biology using a combination of empirical genomics and bioinformatics, collaborations with wet-lab experimentalists as well as mathematical modeling and computer simulation. I have applied these research strategies to examine the molecular mechanisms and evolution of systems as diverse as the human major histocompatibility complex (MHC), yeast transcriptional networks and prion biology. One major focus of my research is understanding the basic principles of how genotype “maps” to phenotype via cellular networks and processes and how variation in these networks is manifest across both individual lifespans and at evolutionary timescales. Another focus is applying these principles to identify the mechanistic underpinnings of human diseases. One mechanism of evolvability is the accumulation of hidden genetic variation and subsequent release of the variation when it might be adaptive. In yeast, variation accumulates in the untranslated regions of genes and can be released through translational readthrough caused by prion aggregates of the translation termination factor Sup35, known as [PSI+]. Previous experimental evidence suggests that such readthrough can produce new, genetically complex, and often adaptive phenotypes when the organism is stressed. My mathematical modeling, coupled with data from experimental colleagues suggest that prion-forming ability may be a consequence of selection for evolvability. Another prion I have investigated, [MOT3+], transforms the transcriptional networks inside yeast to survive stress by inducing a multicellular states such as biofilm formation. I am interested in extending this work to examine other prions and processes that can rewire metabolic and signal transduction networks. I have also done work in investigating the causative variants of different phenotypes, including disease, using an evolutionary systems biology approach in both human and yeast datasets. For example, using both in-vitro evolution experiments and whole-genome deep-sequencing, my colleagues and I have discovered that resistance to certain antifungal agents can come at the cost of an inability to respond to stress. This has significant implications for human health as creating antibiotics with evolutionary constraints is a potential strategy for limiting the emergence of drug resistance. I am also active in the development of algorithms and open-source tools for science, both in biology, but also for other sciences. I developed a bioinformatics pipeline for population genomics, PyPop, which operates on multi-locus genotype data, and performs many different analyses including tests for different modes of selection. I was a primary developer of the agent-based modeling software package, Swarm at the Santa Fe Institute in New Mexico, and I worked on the Madonna differential equation solver package developed at University of California, Berkeley. I have developed tools for next-generation sequence analysis as well as searching for prion-like domains in protein sequences. My Ronin Institute colleague, Gordon Webster, and I have published the book Python for the Life Sciences a gentle introduction to computational approaches for biologists of all stripes. More recently, I have become interested in how scientific problems are being tackled in an increasingly collaborative and interdisciplinary way, with the rise of open-science. I am collaborating on a project with an economist to use computational agent-based modeling to simulate different organizational structures for knowledge exploration. To fully realize a co-operative, diverse and inclusive vision of science, we need to examine the political economy and cultural context of knowledge generation in academic institutions and elsewhere. Ronin Scholars Arika Virapongse, Anne Thessen and I published a series of concrete cultural design patterns to help realize science and scientific careers as an open “ecosystem” rather than a “pipeline”, using a framework that emphasizes commons-based thinking rather than the dominant model of competition and scarcity. I am a Research Scholar at the Ronin Institute, a Partner at Cambridge, Massachusetts-based consulting firm Amber Biology, and a Principal Scientist at Biosystems Analytics. I am also a Visiting Research Affiliate at the University of Sydney and an affiliated researcher with the Institute for Globally Distributed Open Research and Education. I was a Visiting Scientist at the Whitehead Institute for Biomedical Research at MIT and held a faculty appointment at Harvard Medical School. I blog at Biosystems Analytics. For more details of my work see my profiles on Google Scholar and ImpactStory. My previous research site has more details on on-going projects.